When the National Quilting Association declared the third Saturday of March, to be "National Quilting Day" back in 1991, little did they know that it would grow so rapidly in popularity around the globe that many now view it as "International Quilting Day,"instead. 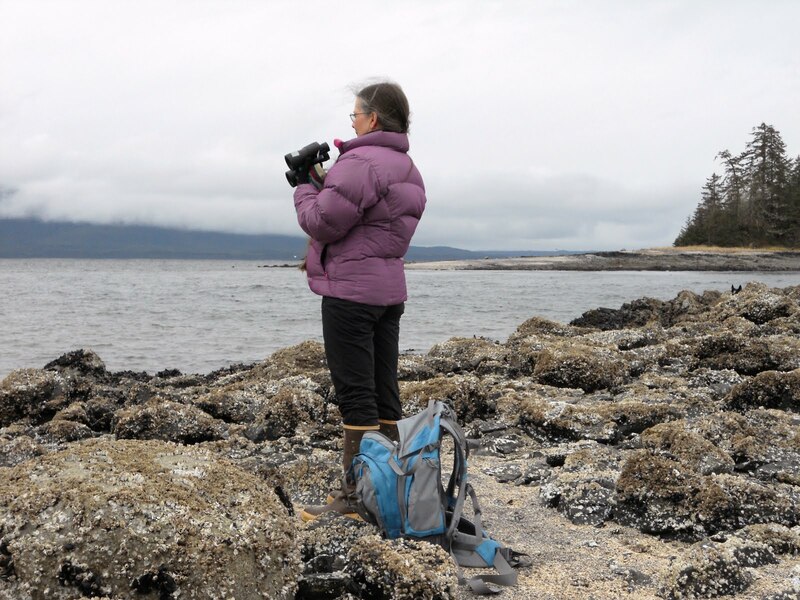 This year is falls on March 20, 2010 and as March is also known as "National Quilting Month", what better day than to organize a big quilting day....with friends or in the virtual reality of quilting bees, such as many of us are doing today. To reflect, and celebrate the rich traditions of quiltmaking and all of its contributions to both family and community throughout history. Make it a service day and work on a quilt for your favorite cause, locally, nationally or internationally. And if you don't have a favorite one, start one or visit one of the many sites I've listed in the past. Organize an exhibit for your local library or historical society. Exhibit quilts, tools, books, etc. 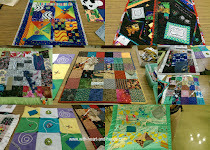 Organize a quilt history day or a quilt documentation project. Work on a quilt with a school, or community quilting group and spread your love of quilting to others. Contact a local senior citizens group or facility and organize a show and tell or maybe even sponsor a sewing day to make lap quilts for seniors. Organize a sew-in, quilting bee, workshop, lecture, retreat, bus trip or even a shop hop and invite your friends. 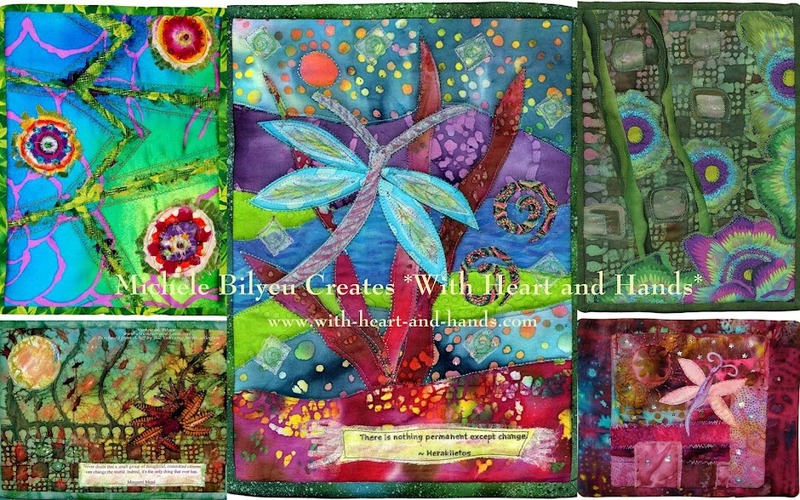 Celebrate on your own: Not in a position to stitch or quilt? Visit your favorite quilt shops, pass your love of quilting on to a child or friend, or spend a few hours sewing or reading your favorite quilt book. The idea is simply to celebrate your love of the quilted comfort of fabric and the joy it brings into your life and the life of others. A few of the completed projects of sharing and giving from my year in review of 2009. Sewing and quilting were done in Salem, Oregon and my last year's bunch of classroom Kuspuks and lots of little pillows done in Douglas, Alaska. 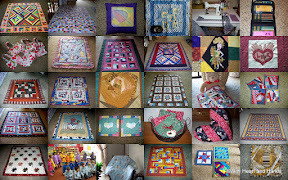 Completed quilts blocks for two quilts were mailed to Australian bush fire relief organizations, and my pillowcases were sent to American Samoa and Africa. Preemie and baby quilts, comfort quilts, and quilts of valor found their way through various organizations to a number of locations all over the United States. Thanks for all of the info and the excellent reminder. I'm sewing today for sure! PS: Loved seeing your quilts and projects. And how is your arm coming along? I love seeing all your quilts. Happy Quilting Day to you! I remember when you did the "hands" and the heart. That touched me. You are such a dream! *karendianne. who appreciates everything you do but doesn't seem to tell you that nearly enough.